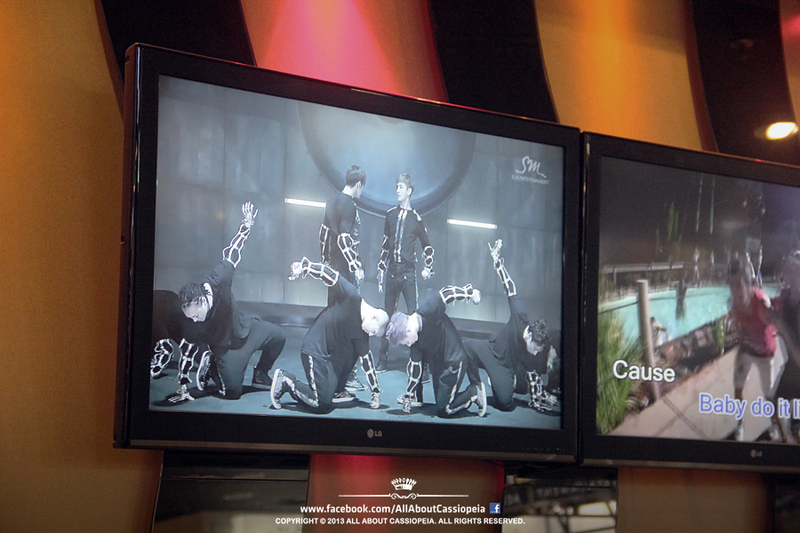 As TVXQ! 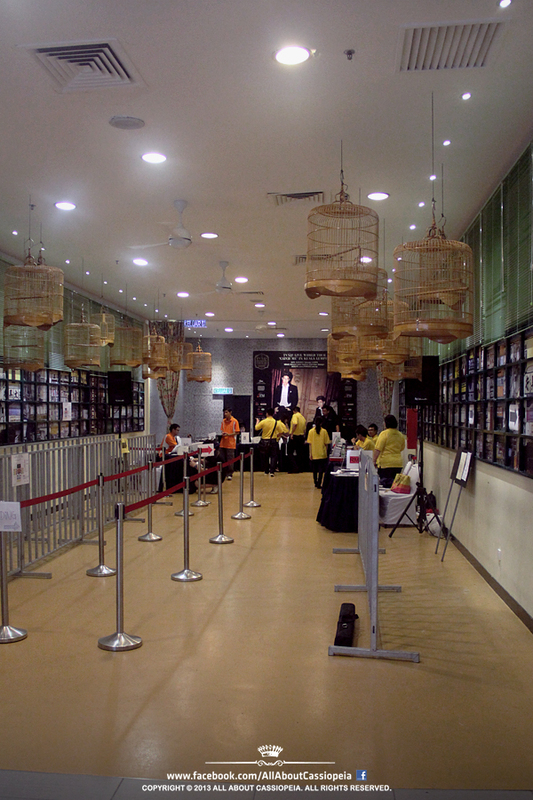 LIVE WORLD TOUR “Catch Me” in KUALA LUMPUR draws near, the ticket sales has begun at Sungei Wang Plaza today in Kuala Lumpur. 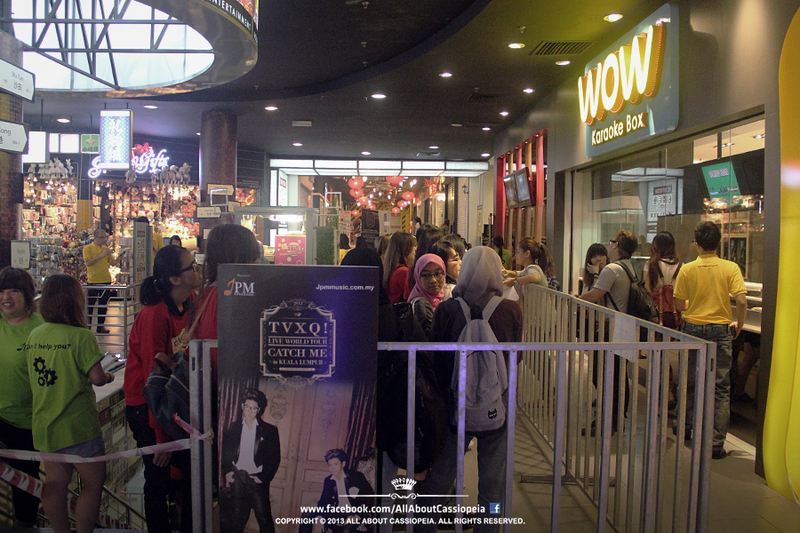 TVXQ once again proved its popularity as die-hard Cassiopeia started queuing for their third concert in Malaysia. 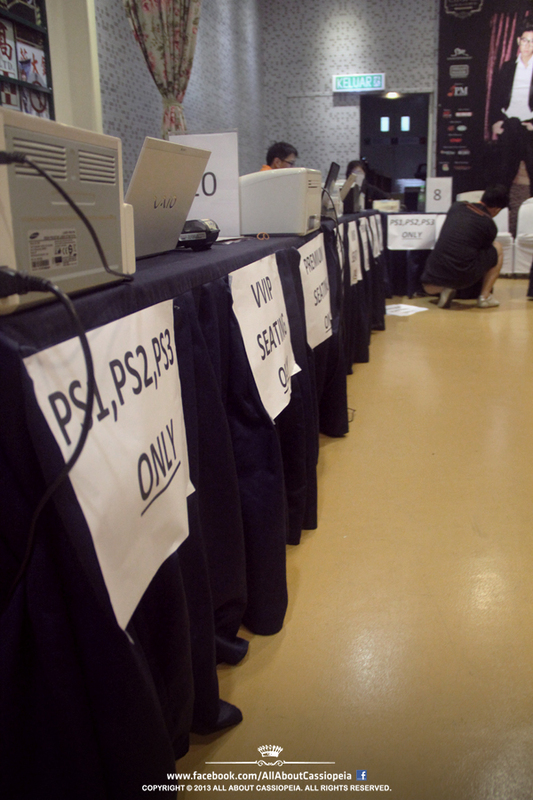 The ticket launch event was meant for Premium Rock Zone, VVIP Rock Zone, Premium Seating, VVIP Seating as well as other zones of prices ranging from RM168-RM888. 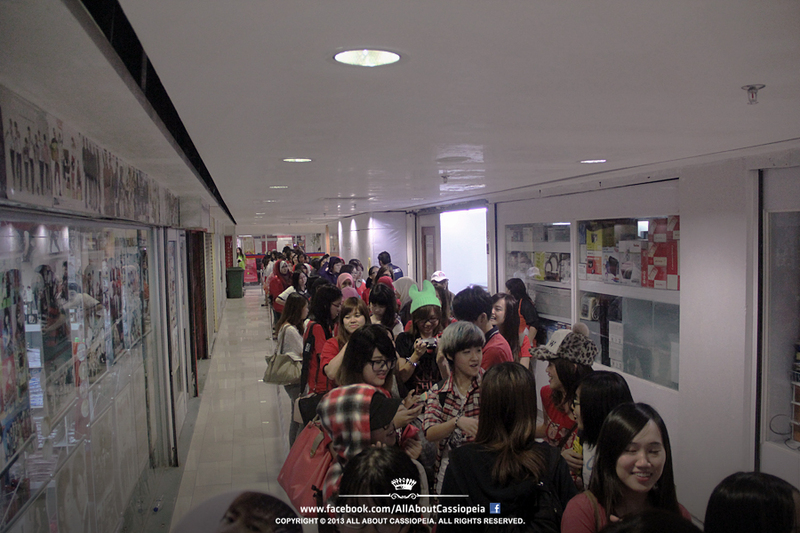 One of the fans present in the venue today told All About Cassiopeia that the queue for the tickets started as early as yesterday evening. 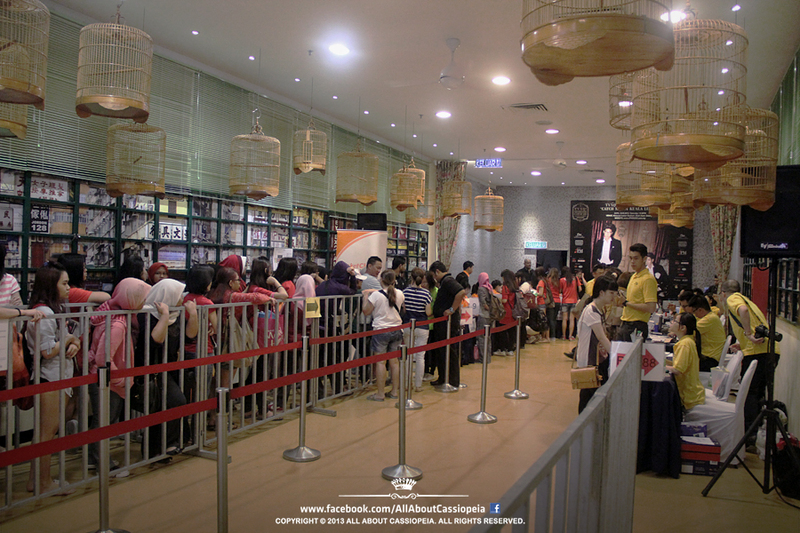 The queue persisted and many fans had to stay overnight while the mall closes for the day. 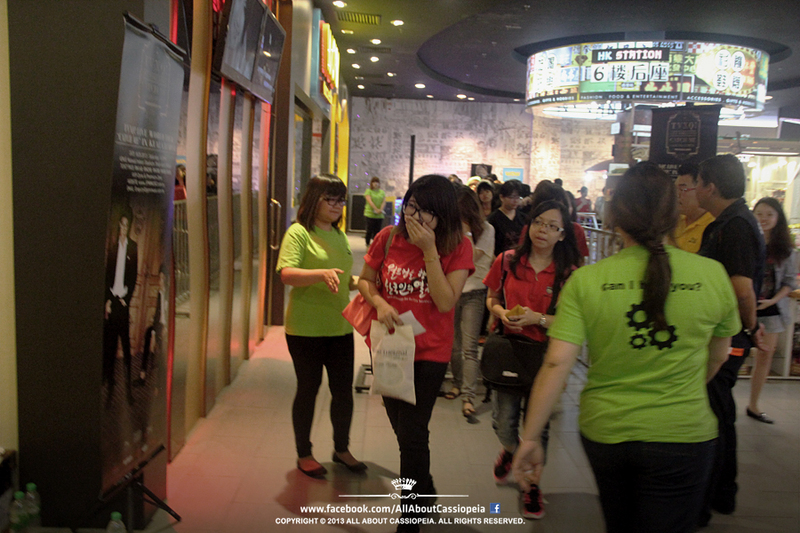 Thanks to Sungei Wang Plaza’s management, a few security guards were assigned to take care of these dedicated fans for the night. 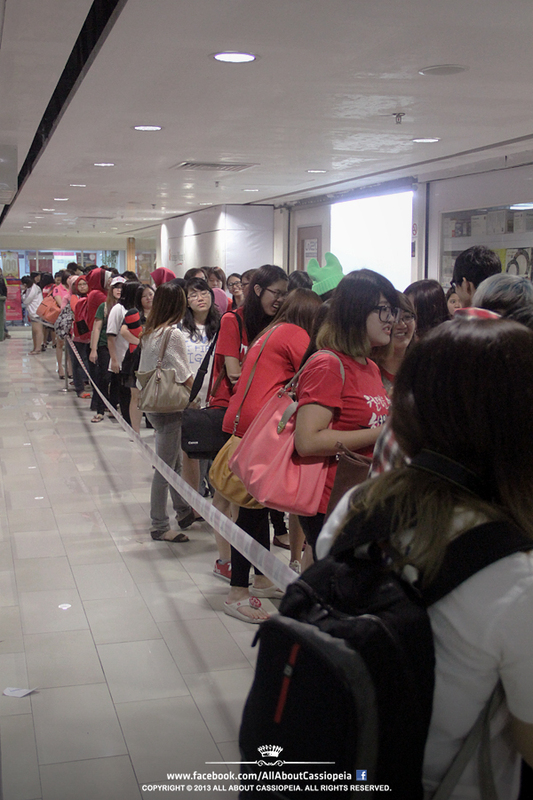 Fans flocked into the mall to the ticket launch venue in the wee hours this morning with most of them wearing red clothing to show their passion as red represents TVXQ’s official fanclub color. 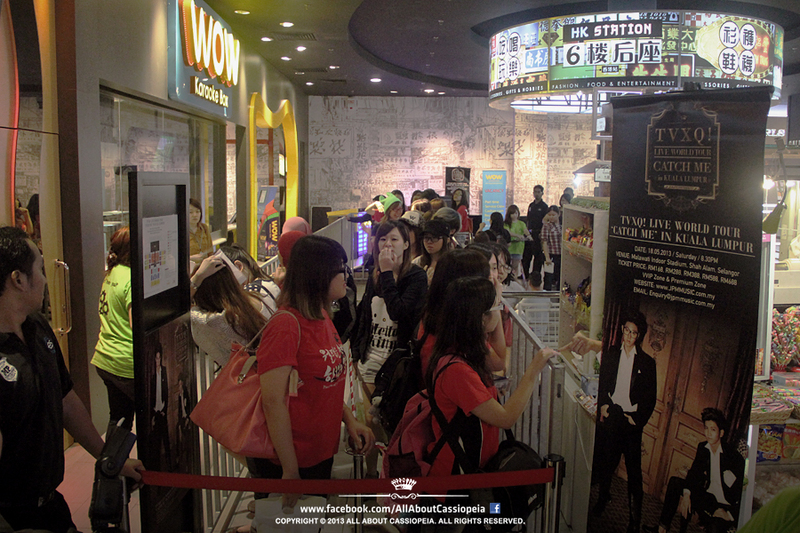 While the preparation for the ticket launch began as early as 9:00AM on the 6th floor of Sungei Wang Plaza, fans queued and waited patiently on the 3rd floor. 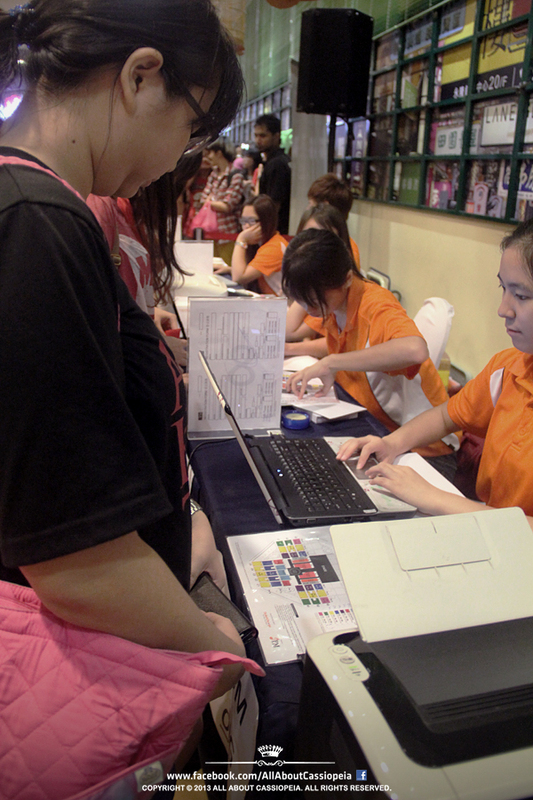 Lucky fan number one who managed to get her tickets on hand during this ticket launch event. 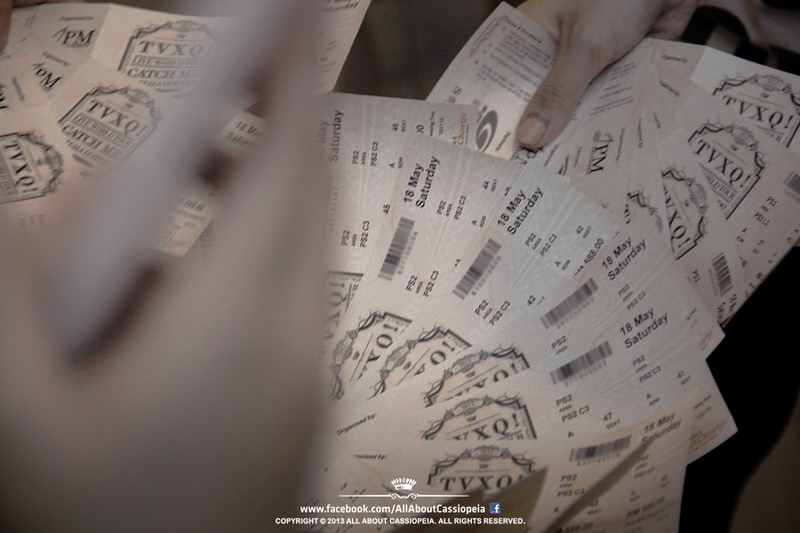 Take a glimpse at those black-themed tickets! TVXQ! 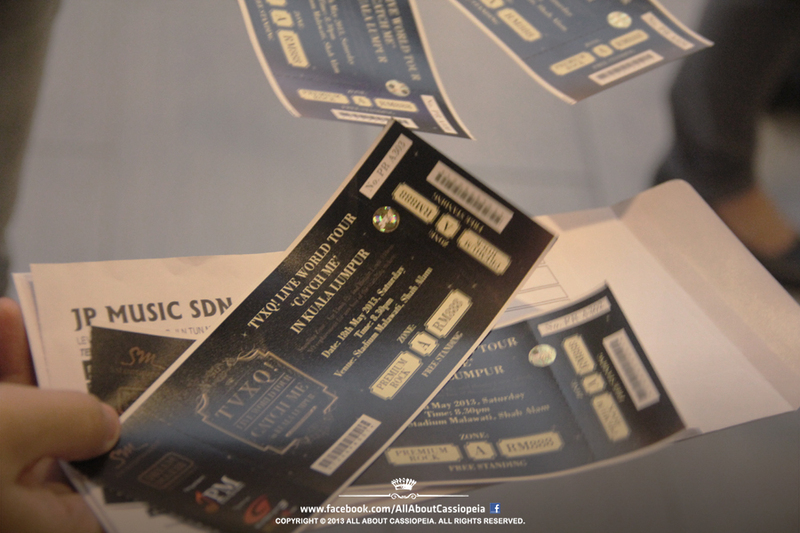 LIVE WORLD TOUR “Catch Me” in KUALA LUMPUR is set to be one of the most special-staged concerts in this tour, in a one-night concert in Malawati Indoor Stadium in Shah Alam, Selangor. 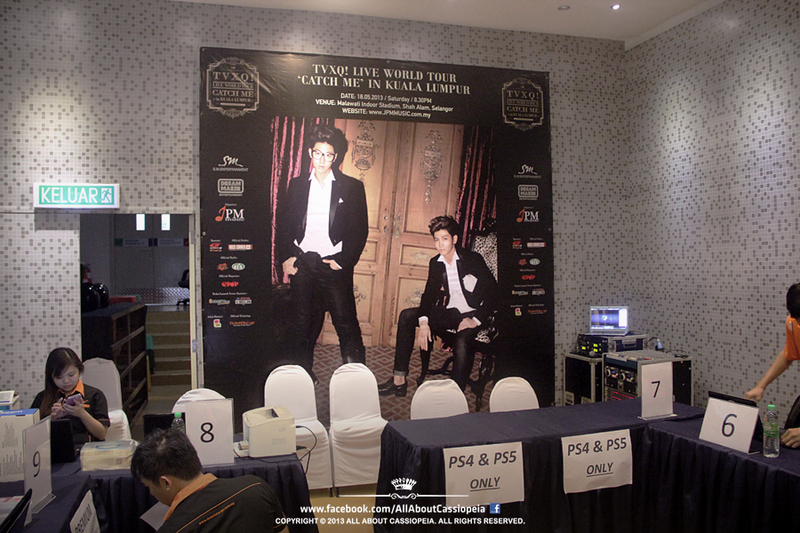 This year, the concert will kick off on May 18th at 8:30PM and the duo, Changmin and Yunho, will be performing in Malaysia after six long years since their TVXQ! 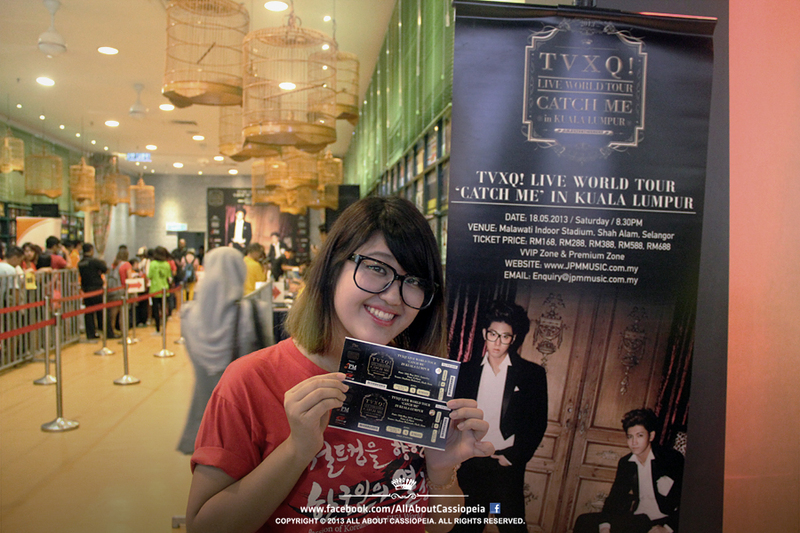 The 2nd Asia Tour Concert “O” in Kuala Lumpur before the split-up. TVXQ! 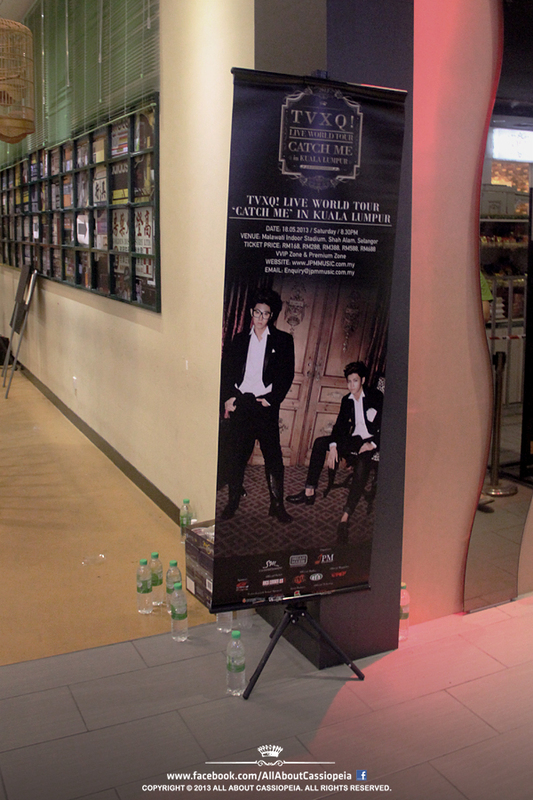 LIVE WORLD TOUR “Catch Me” in KUALA LUMPUR is presented by SM Entertainment, managed by DreamMaker Entertainment Limited, and organized by JPM Music. Special thanks to JPM Music for allowing us to cover this event! Could u please tell me how to subscribe this blog?